Evergreen Park – Alzein Pediatric Associates is pleased to announce Dr. Hassan Alzein has been selected as a Castle Connolly America’s Top Doctor® for 2018. Dr. Alzein earned his medical degree in 1988 and then completed his residency at the University of Illinois Chicago in 1994. He is board certified in pediatrics and is the founder of Alzein Pediatric Associates, with offices in Evergreen Park and Oak Lawn. Both Dr. Alzein and his practice are well known for their exceptional commitment to pediatric healthcare while forming life-long relationships with patients and their families. Dr. Alzein has special interest in ADD and ADHD, asthma and allergies. He has extensive experience working with critically ill children and newborns in while serving in Pediatric Intensive Care Units in Chicago’s southwest suburbs. Continuing education keeps Dr. Alzein and the practice medical professionals at the leading edge of evidence-based advances in pediatric technologies, theories and treatments. “We are committed to honest communication about pediatric treatments for our patients. Our families are urged to vaccinate their children whenever possible to prevent catastrophic health problems, to be screened for behavioral and developmental challenges and to follow up with any recommended specialists when an issue is identified. We are committed to seeing our patients grow up healthy, happy and sound, in body and in mind,” said Alzein. An uncommon dedication to both the local and international community also sets Dr. Alzein apart. The practice offices are permanent donation locations for SWADDLE, the Southwest Area Diaper Depository for Little Ends, collecting disposable diapers of all sizes that are then repackaged and given to families in need through social service agencies. Each office also houses a Little Free Library, which encourages families to “take a book, leave a book”, ensuring that books that are outgrown by older patients will be embraced and enjoyed by younger patients. Dr. Alzein is also a founding member of SAMS, Syrian American Medical Society and has completed several missions overseas, most recently in Lebanon, to care for refugee children. Castle Connolly Medical Ltd. researches physicians at every community hospital in the nation, identifying those who are properly credentialed and licensed. Physicians awarded the Top Doctor recognition are nominated by physician peers and other healthcare professionals. These nominators consider both professional criteria and soft skills such as empathy, listening, communicating, inspiring trust and confidence. A commitment to patient education is considered. Credentials of nominated physicians are then reviewed by a Castle Connolly physician-led team before recognition is awarded. 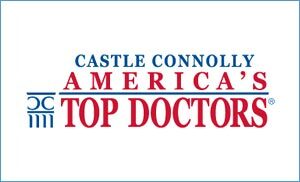 Dr. Alzein was also recognized by Castle Connolly America’s Top Doctors® in 2014 and by findatopdoc.com in 2017. The practice was certified a Level 3 Patient-Centered Medical Home by National Committee for Quality Assurance (NCQA) in 2017. He is affiliated with Little Company of Mary in Evergreen Park, Advocate Christ/Hope Children’s Hospital in Oak Lawn and Lurie Children’s Hospital in Chicago. Should Illinois Make My Decision About Youth Football?